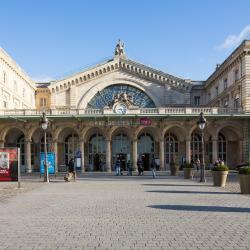 Looking for hotels near Pont Marie Metro Station? Located in Paris, just a 16-minute walk from Notre Dame, Chateau 41 provides accommodations with free WiFi. Hôtel Du Jeu De Paume is located on the famous Ile Saint-Louis, a 5-minute walk from Noter Dame Cathedral. Offering garden views, chrisev is a property located in Paris, a 16-minute walk from Pompidou Center and one mile from Sainte Chapelle. This apartment provides a garden as well as free WiFi. 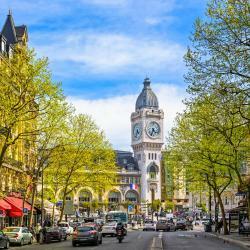 In the Latin Quarter, this 4-star hotel is just over a quarter mile from Notre Dame Cathedral. It offers free Wi-Fi access in the soundproof guest rooms and has a 24-hour front desk. Great location. Incredible room in the corner of the building. Big windows in front of our bed. In a Haussmannian-style building, this 3-star hotel is located across from the Maison de la Mutualité and 230 yards from the Cardinal Lemoine metro station. Haussmann building with characteristic iron balcony and spiral staircase. Hotel Saint Jacques offers comfortable en suite accommodations in the heart of Paris’ Latin Quarter. It is near Ile de la Cite and Noter Dame Cathedral. Staff extremely friendly and helpful, location was perfect only 2 min walk to metro! Hôtel Albe Saint Michel is in a central location, in the heart of Paris’ Latin Quarter, by the Seine River. 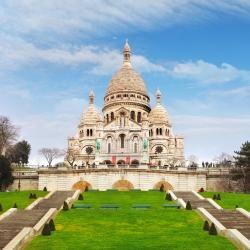 It is 5 minutes from Notre Dame Cathedral and the chic Saint-Germain-des-Prés district. Great location ! Clean room ! Perfect breakfast ! Located on Paris' Left Bank, in the heart of the lively and historic district of Saint-Germain-des-Prés, Villa Panthéon features an accommodations, a 4-minute walk from Panthéon and 8-minute walk from... Staff were very nice. Camille at the reception was very helpful. This stylish 4-star hotel is located in the heart of the lively district, the Latin Quarter in the center of Paris, facing Place Saint-Michel and its famous fountain. Luxurious Hotel and Service. Excellent hospitality and staff is very helping. Recommended. 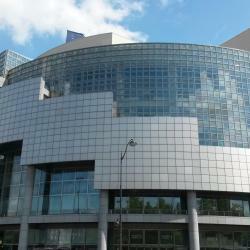 Hotels with great access to Pont Marie Metro Station! 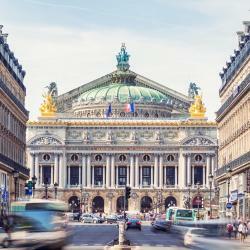 This hotel is on Paris’s Left Bank, less than a quarter mile from Notre Dame Cathedral and a 25 minute walk from the Louvre and the Musée d’Orsay museums. Some rooms feature views of the cathedral. Wonderful location, beautiful room with picture- perfect view out window of Saint-Séverin. Located in Paris, Hotel du College de France is 689 feet from La Sorbonne University and 1640 feet from Noter-Dame Cathedral. This hotel offers free WiFi and a communal lounge with a TV. Clean rooms, great location, good breakfast, friendly staff.